Robert A. Wolle, Senior Litigator - Tario & Associates, P.S. We first approached Robert about a custody issue. From the beginning he listened to our dilemma with direct attention and positive suggestions. He was warm and always willing to handle our case the way we wanted to proceed, rather than bulldozing us with his approach. He worked on our case on the weekends, his wonderful paralegals assisting him every step. He stayed in great touch with us, constantly letting us know where he was at, anything we could do to help or what our next step could be if we wanted to move forward. Every step of the way Bob and his team have fought for us in court and believed in our case wholeheartedly. We always feel so welcome when we walk into the office, greeted as if old friends and leave feeling recharged as we continue on this journey; it is a great comfort having Bob in our corner. Raymond, Child Custody Client. Robert A. Wolle has over 28 years of experience as an attorney in Washington State, making him well qualified to help his clients in their legal matters. Robert’s current, primary areas of practice include Family Law and Bankruptcy. Family Law embraces all facets of dissolutions, Third Party Petitions for Custody, Paternity, Elder Law, Adoptions, Paternity and matters involving children as At- Risk Children, and CHINS petitions. Robert has also had extensive experience and training in legal issues involving domestic violence and abuse. Bankruptcy practice includes all areas necessary for effective representation from initial discussion and analysis of options, preparing and filing the necessary papers, to the discharge of indebtedness. Robert graduated from the University of Puget Sound in Tacoma, Washington, with a bachelor’s degree in Marketing and Management in 1975. He earned his Law degree in 1979 from the University of Puget Sound Law School (now Seattle University). Hundreds of Bankruptcies in Chapter 7, 13 and 11 with strong background in real estate and collections matters. Robert has appeared and argued before the State Court at all levels and before the Federal Courts in Washington. In addition, Robert is the past President of the Island County and Grey’s Harbor County Bar Associations; Secretary of the Mason County Bar Association; an Able Toastmaster; and has attended many seminars assisting survivors of domestic violence. Robert was an associate professor of Business Law and Personnel Law at Chapman University. 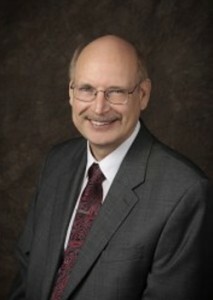 In 2010 and 2011, he received letters of thanks from WSBA and recognition from the Thurston County Legal Aide for indigent legal services for Family Law matters.